What is KT&C EZHD? EZHD-TVI truly delivers on the promise of HD that installs and works as easy as analog. It is a powerful combination of technologically advanced cameras, recorders and accessories (e.g. baluns) that connect like analog but displays, records and plays back HD. Does EZHD-TVI work over Coax? Does EZHD-TVI work over "Any Old Coax"? How far can EZHD-TVI work over RG59? Does EZHD work over UTP/Cat5? Will it work over 'Any Old Twisted Pair'? How far can it go over UTP? Should I used special EZHD-TVI baluns? Can I use my hand held analog test monitor to aim and focus an EZHD-TVI camera? Do EZHD-TVI cameras have both HD and analog outputs? How do I aim/focus the 'basic' EZHD-TVI models with no CVBS? The DVRs can stream live video to your smart phone or PDA so you can see what the camera sees. How can I program the EZHD-TVI camera OSD (On-Screen-Display) menu settings? Many of the EZHD-TVI cameras accept UTC (Up-The-Cable) control to access the OSD settings using the PTZ controls in the DVR. Some camera models also include a mini joystick to adjust the OSD at the camera. Are EZHD-TVI cameras available in all the common form factors such as indoor/outdoor, dome/ball/turret/bullet, etc? Are EZHD-TVI cameras available in both 720p (1Mp HD) and 1080p (2.1Mp full HD)? Do I need a special recorder to capture 720p HD / 1080p full HD video? Yes. 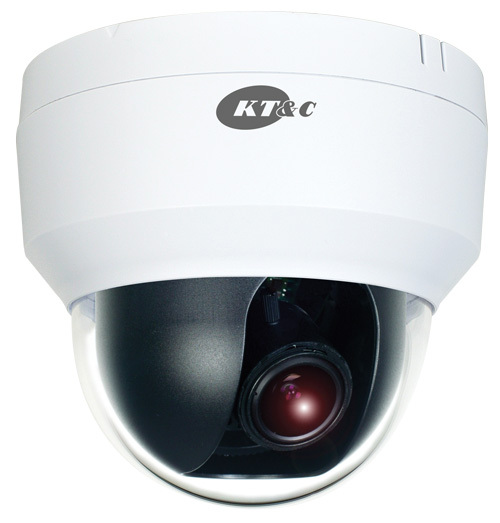 KT&C offers multiple DVR options for you to choose from. 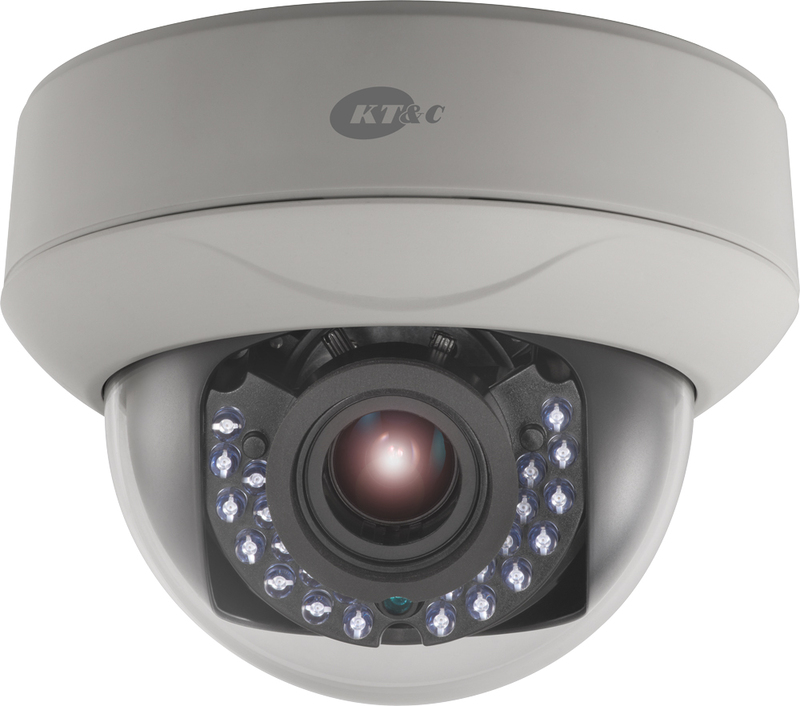 Will the EZHD-T recorder work only with KT&C EZHD-TVI cameras? You are not limited to EZHD-TVI cameras. Will they work with other brand HD-Over-Coax cameras? Yes, if you are using compatible technology (HD-TVI). How many cameras can I connect to an EZHD-T recorder? Can I connect any analog or EZHD-TVI camera to ANY BNC port on the back of the recorder? Yes! Can I connect existing or new analog cameras to any BNC on the back of an EZHD-TVI Recorder? Can I connect IP Cameras to the DVR? You can connect 1-2 OMNI IP Cameras to the DVR (depending on model). Can you simultaneously connect and record analog/EZHD-TVI/OMNI IP Cameras? What is the maximum IPC (IP Cameras) resolution? What brands of IPC are supported? Do all EZHD-T DVRs record 1080p? Yes, all EZHD-TV DVRs record 1080p. The TRF series will record 1080p @ real-time. The TVL series will record 1080p @ 12 FPS and will record real-time @ 720p. Are EZHD-TVI recorders compatible with my existing OMNI CMS and smart phone apps? Yes, the same CMS/Apps support EZHD-T/OMNI-IP/OMNI960 recorders! Do all EZHD-TVI recorders provide up-the-cable control? What differences should I expect when I install an EZHD-TVI system? Vastly more detailed images in live and playback view, many time saving features (like up-the-cable camera control) and the flexibility to connect analog, 720p HD, 1080p HD and 720p/1080p IP cameras as needed to suit the application. How much more expensive is this going to be compared with the high quality analog cameras and recordes I use now? EZHD-TVI truly delivers on the promise of HD because it not only installs and works as easy as analog, but the costs are close to those for analog.